In 49 short days, the giving power of our community made history. The Monterey County Gives! campaign wrapped up on Dec. 31, 2015 with staggering returns – $3.17 million – to be invested in the work of area nonprofit organizations. The initial MC Gives! goal was $2 million, but the generosity of more than 4,000 donors and giving partners far surpassed that, bringing total contributions to $3.17 million. Many participating nonprofits raised Challenge Grants from key supporters, providing over $423,000 to kick-off the campaign. 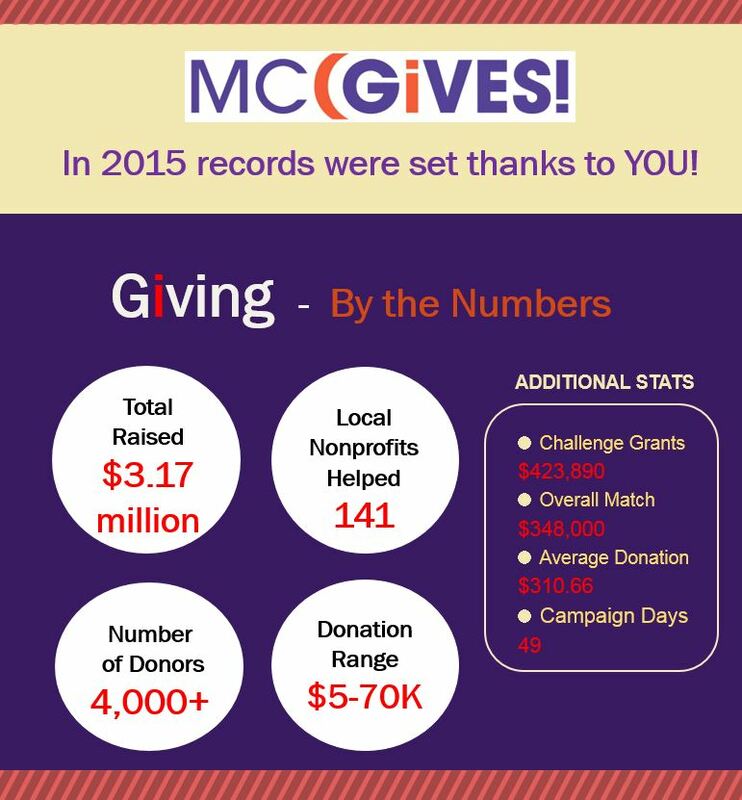 Including the matching fund of $348,000, MC Gives! had more than $700,000 in Matching and Challenge Grants combined. Over 140 nonprofit organizations serving Monterey County shared their “Big Ideas” to inspire donor support. 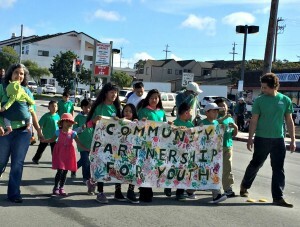 One example is the Community Partnership for Youth (CPY) in Seaside, which sought funding for graduates of their youth leadership and mentoring program to have money for college essentials – like required textbooks. The MC Gives! Campaign is a community fundraising effort linking participating area nonprofit organizations with charitable donors.The Monterey County Weekly created the Monterey County Weekly Community Fund, a donor advised fund at the CFMC in 2000. Each year the Weekly promotes a year-end appeal to its generous readers. This year the Monterey Peninsula Foundation joined the effort as a key funding partner. In addition to MPF, the match is supported by the David and Lucile Packard Foundation, Neumeier Poma Investment Counsel, Cannery Row Company, Monterey County Weekly and the CFMC. Sponsors include Whole Foods Monterey and the Doolittle and Cynthia Snorf funds of the CFMC.